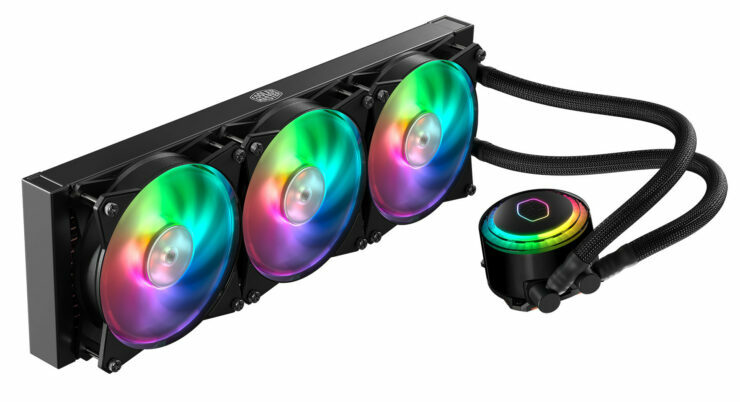 Cooler Master a well known and respected brand in Cases, Cooling, and other PC Enthusiast gear have introduced its first 360mm all-in-one (AIO) liquid CPU cooler. 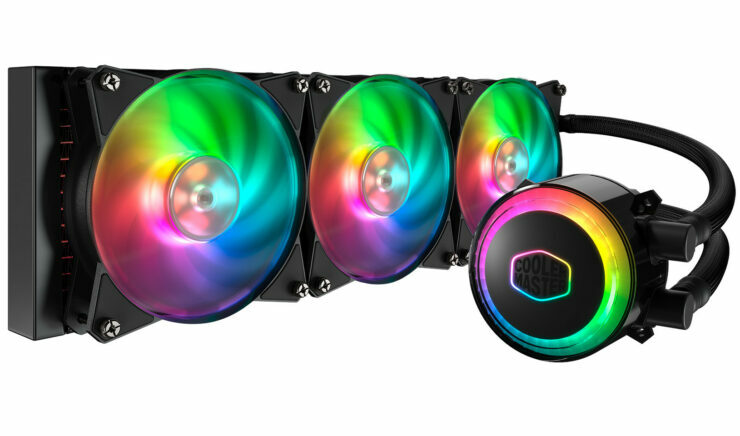 The MasterLiquid ML360R features addressable RGB LEDs on both the fans and water block and is certified compatible with ASUS, MSI and ASRock motherboards. The Announcement comes fresh off the recent annoucement of coolers from Cooler Master for AMD’s new Threadripper platform. 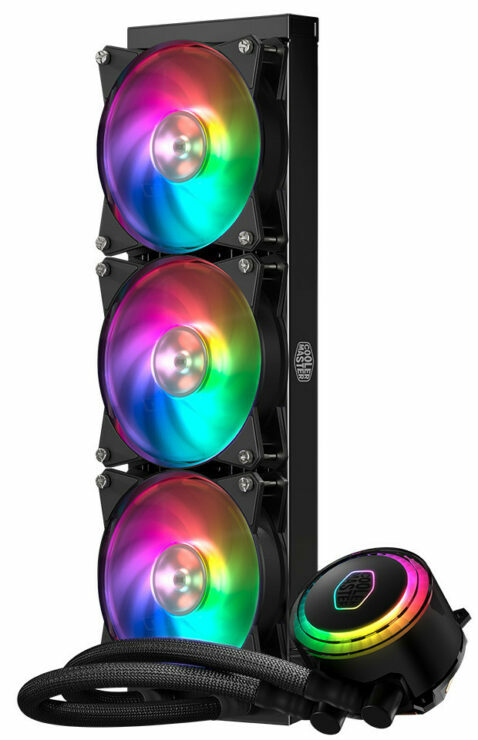 The MasterLiquid ML360R RGB features Cooler Master’s pump which has been newly designed with 12 addressable RGB LEDs on the water block and eight addressable RGB LEDs on each fan, capable of 16.7million color options. Users can easily customize each LED, individually, through the addressable RGB software from ASUS, MSI and ASRock motherboards, no word on EVGA, Gigabyte Aorus or Biostar’s options but it does work with Cooler Master’s MasterPlus+ software for complete ambient control. Cooler Master’s MasterLiquid ML360R RGB comes equipped with a new addressable RGB LED controller for use and is compatable with non-addressable RGB components and for easy lighting and mode control. A 5-in-1 addressable RGB splitter is also included in the packaging which should hopefully help making the whole thing a bit easier to cable manage. 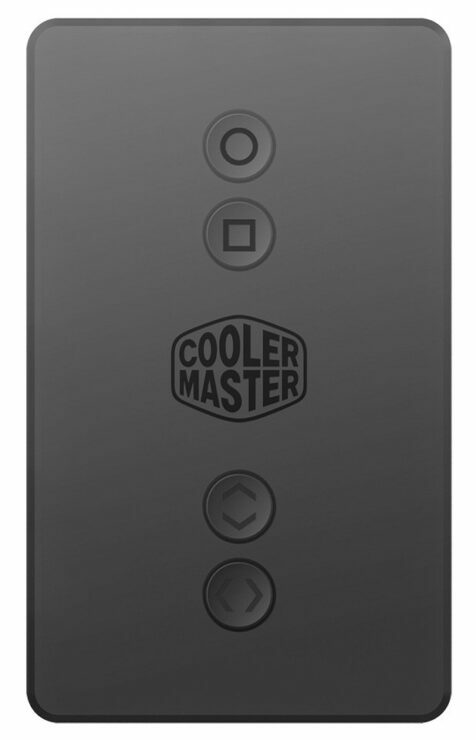 Cooler Master says that the ML360R has been designed completely in-house and is constructed with a low profile dual chamber pup to separate incoming coolant from the radiator bound hot coolant. This should help with better cooling results and will assist in maintaining cool system temps. the Cooler features a precision machined microchannel cold plate to quickly dissipate heat, FEP tubing on the interior and sleeved tubing on the exterior for a premium look and extended durability. 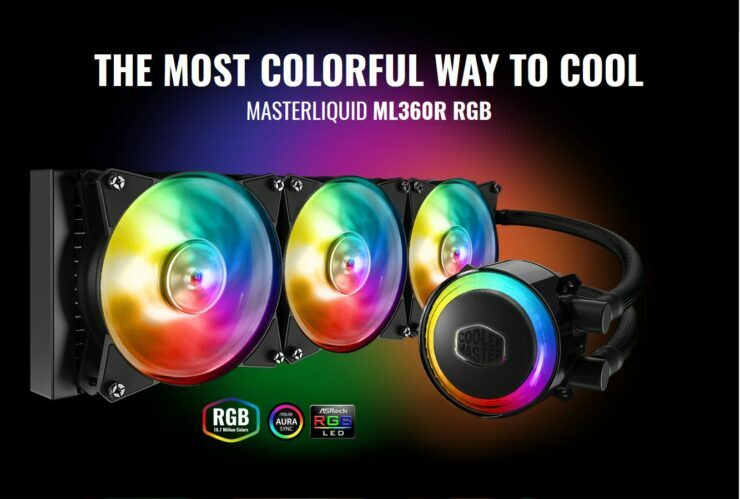 The MasterLiquid ML360R RGB is Available now at Newegg for a rather fair $159.99.